Daniel Kramer (Board Treasurer) practices municipal law, specializing in land use, natural resources, and the environment. After receiving his J.D. in 2011 from Berkeley Law (Boalt Hall), where he served as the Editor in Chief of the Ecology Law Quarterly, he moved to Colorado to clerk for Justice Gregory J. Hobbs, Jr. of the Colorado Supreme Court. Once in Colorado, he saw no reason to leave. 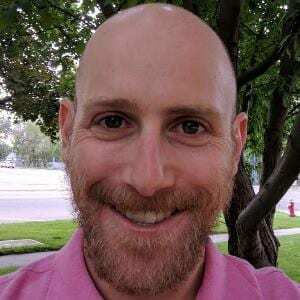 He moved to Boulder in 2012, took to triathlon sports, bluegrass, meditation, climbing, and ski touring, and spends the rest of his free time backpacking, doing yoga, cooking queer vegan food, and, of course, seeing plays. Previously, he earned a B.A. in Public Policy Studies from Duke University, with a focus in arts leadership, and worked as a grassroots organizer for the Montana Wilderness Association.